Hello everybody! In today's newsletter I would like to share the latest emerging and continuing trends in commercial interior design of 2015. Are you thinking about remodeling your space or opening a new business this year? Then this newsletter is for you. You can always follow us on Facebook or see interior design news on our Blog. 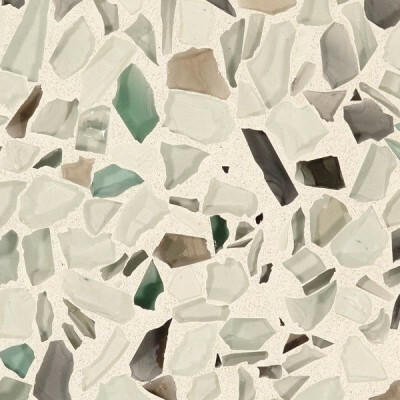 In our Green News below learn about recycled glass counter tops and floors — one of the most beautiful echo-friendly choices. If you missed it, read our December newsletter showcasing some of our design projects from last year. You may also see your store images here if you are our client! 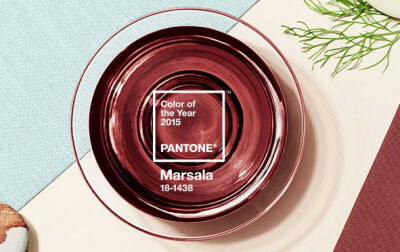 One of the most noticeable interior design trends you will see is a new 2015 colors of the year by Pantone Institute - Marsala. See if you can use this colors to spice up your business interior or your home by clicking on the link below. This new convenient trend started emerging with a new way of looking at our work spaces. You don't have to be in your own office alone now. You can rent a room or just a desk in a larger office with other entrepreneurs and share a few benefits. How about adding a cafe to your co-working space or having a store with yours or someone's product? See below how similar project was done by Base Camp company. Preserving history of a city or a place is always an important challenge of any interior designer or an architect. 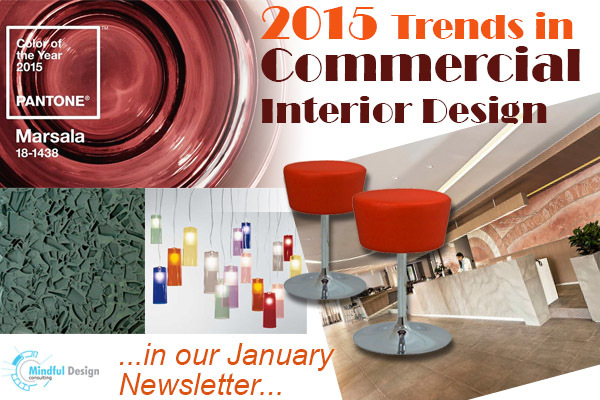 It will always be a trend in years to come but especially in 2015 trend for commercial interior design. See below a hotel in Greece successfully combining old and new architecture in one beautiful solution. What if you are on a small budget when designing your new business? It's not a problem with a good interior designer on your side. Colorful, well designed graphics can turn your new store or a salon into a piece of art and an amazing place to visit! 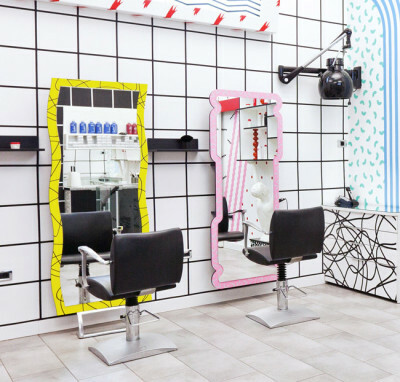 See such creative interior design of a hair salon in Slovenia below. Do you sometimes feel intimidated by sales people when you come into a clothing store? Not in this store! You will be greeted by a friendly android. It can react to you as you wish but that's about it. 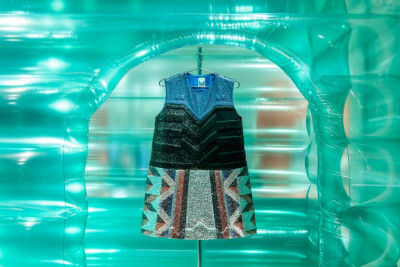 Using androids as an interactive display in stores is a new emerging trend for commercial interior design this year. Learn more about it below. Your store's display make a big difference in your store's success! If you have not captured passing by people they may never go back. A good interior designer can always find a creative solution and attract more customers to your windows. Creative displays using very affordable solutions, like the one below, will be another interior design trend this year. A continuous trend for old established companies and a new trend for new up and coming companies is creating an interior brand that follows its value. 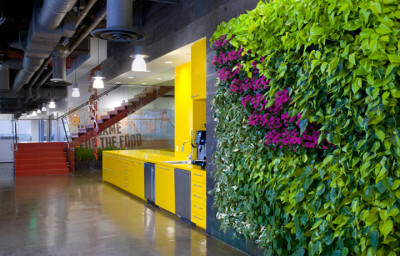 The office interior of the Whole Foods for example utilizes natural materials to reflect the organic values of the company. See more images of their new office design below. 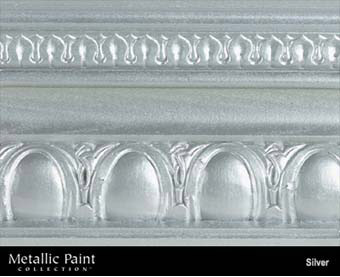 Metallic paints have become a new interior design trend this year. Not only these metallic paints have low VOC, they also come in 14 colors and can substitute any type of metal, even copper and bronze. See some example of the metallic paints application on different projects at the link below. 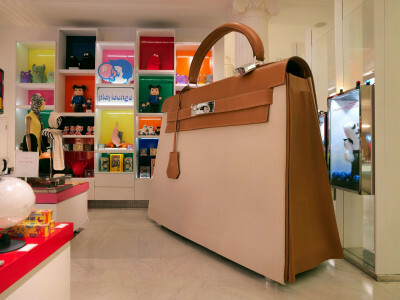 Another example of an interactive display is this unique over-sized purse for customers to experience a live of their IPhone or other things a woman keeps in her purse. 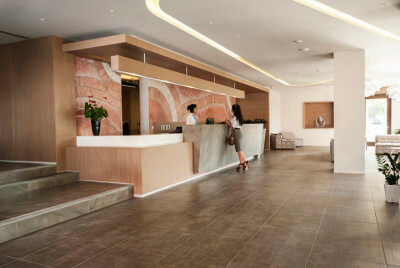 Interactive interior is a continuous trend in commercial interior design. What can you do in your business to make it more fun for your customers? On of my favorite green material for any interior is these beautiful recycled glass panels. These panels are created from readily-available recycled glass and porcelain that would otherwise end up in a landfill. They are durable, stain-resistant, and eco-friendly. Click on the link below to see more. WARNING!!! This news letter is being distributed only to people I have met personally or who subscribed up to it on-line. Please remember, by unsubscribing from this mailing list you will remove all your personal information from my virtual address book. I will not be able to contact you in need of your services. Your name and your address will be completely erased from my hard drive. I apologize for this inconvenience. Copyright © 2015 Mindful Design Consulting. All rights reserved.